Tine is using Smore newsletters to spread the word online. Her skriver jeg en slags problemformulering a la synopsis i AT. 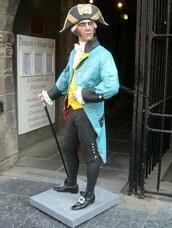 I want to explore the Scottish legal system of the 17th century with Deacon Brodie as an examplary case. 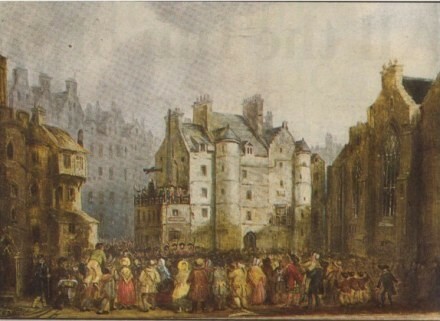 Furthermore I wish to establish to what extent traces of Brodie's life and death are still visible in Edinburgh today. Finally I am to find out whether the fate of Deacon Brodie connects with the doppeltganger-motif in English literature. By day, Brodie was a respectable tradesman and Deacon (president) of the Incorporation of Wrights, the head of the Craft of Cabinetmaking, which made him a member of the Town Council. Part of his job in building cabinets was to install and repair their locks and other security mechanisms and repair door locks. He socialised with the gentry of Edinburgh, and met the poet Robert Burns and the painter Sir Henry Raeburn. He was also a member of The Edinburgh Cape Club, and known as Sir Llyud. At night, however, Brodie became a burglar and thief. He used his daytime job as a way to gain knowledge about the security mechanisms of his clients and to copy their keys using wax impressions. As the foremost wright of the city, Brodie was asked to work in the homes of many of the richest members of Edinburgh society. He used the illicit money to maintain his second life, which included a gambling habit and five children to two mistresses (who did not know of each other, and were unknown in the city). 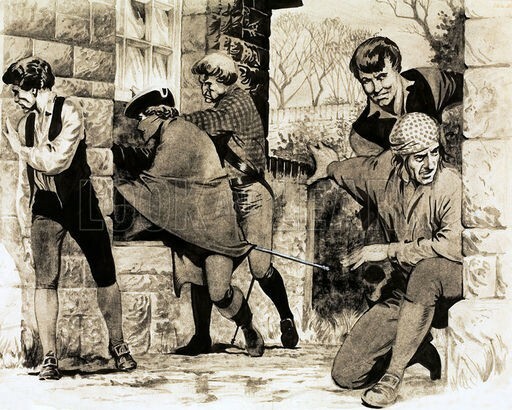 He reputedly began his criminal career around 1768 when he copied keys to a bank door and stole £800. 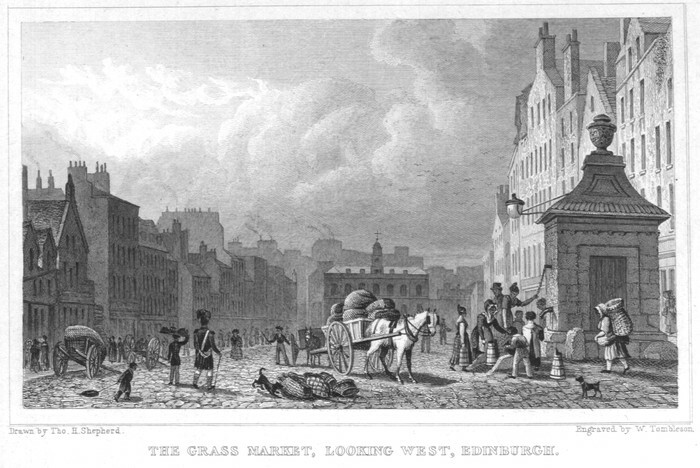 In 1786 he recruited a gang of three thieves, John Brown (a thief escaping a seven-year sentence of transportation), George Smith (a locksmith, who ran a grocer's shop in the Cowgate) and Andrew Ainslie (a shoemaker). Brodie was hanged at the Tolbooth with his accomplice George Smith, the demon grocer. However, Brodie's story does not quite end there. He had bribed the hangman to ignore a steel collar he was wearing with the hope this would defeat the noose! But despite the arrangement he made to have his body quickly removed following the hanging, he could not be revived. 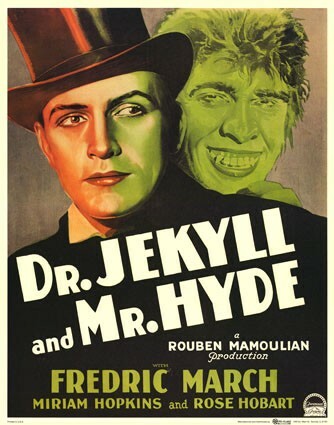 Deacon Brodie's two identities inspired Robert Louis Stevenson to write Dr Jekyl and Mr Hyde. In this novel from 1886 Stevenson explores the Doppeltganger motif.